The Polisario leader, Mohamed Abdelaziz, was hit by another big blow after several Sahrawi notables decided to set up a representative body bringing together Sahrawis of various leanings but who all support the autonomy plan proposed by Morocco to settle the Western Sahara issue. Mohamed Abdelaziz, who is weakened by illness, has badly received the news about the Sahrawi notables’ decision, made at a meeting in the Tindouf camps. According to an informed Sahrawi source, the Polisario leader’s bitterness was all the greater as the meeting was held at the place of one of the most respected tribe leaders. Sheikh Saleh Ould Mohamed Cheikh is actually an outstanding notable of the Rguibate tribe, the largest and most powerful Sahrawi tribe to which the Polisario leader himself belongs. 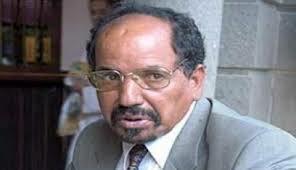 The venue of the meeting and the decision made show that ailing Mohamed Abdelaziz, who has been leading the separatist front for 40 years with the firm support of the Algerian military intelligence services (DRS,) is disavowed by his own clan. The devastating statement issued at the end of the notables’ meeting represents a genuine challenge for Mohamed Abdelaziz. In this statement, the Sahrawi dissidents propose to discuss (the Western Sahara issue) with the King of Morocco through Omar Hadrami, one of the founders of the Polisario who quitted the Front and is now living in Morocco. Omar Hadrami, whose real name is Ali Admi, is best known for being a leader highly appreciated by the Tindouf camps Sahrawis and for being a tough opponent of Mohamed Abdelaziz. The enmity between the two men grew during the 80s before Hadrami, feeling that his life was threatened by the Algerian DRS, decided to slam the door of the separatist movement and returned to Morocco in 1989. Mohamed Abdelaziz’s bitter memories of this episode have apparently been rekindled by the Sahrawi notables.